Beauty in the church is not a matter of indifference. God gave us special instructions for beautifying the tabernacle and the temple and their services in the Old Testament. (Ex-25-27, Num 4, Kings 5-7 and Chron. 3-4). Each month volunteers dedicate themselves to the Lord to prepare His house for worship. Altar Guild teams work closely with each other in making preparation for worship services. If you would like to become a member in serving His house at St. Matthew-Hawthorn Woods, please contact Linda Sternquist. Should you like to make a donation to place floral arrangements in memory or celebration of loved ones, this request is coordinated through the Church Office. 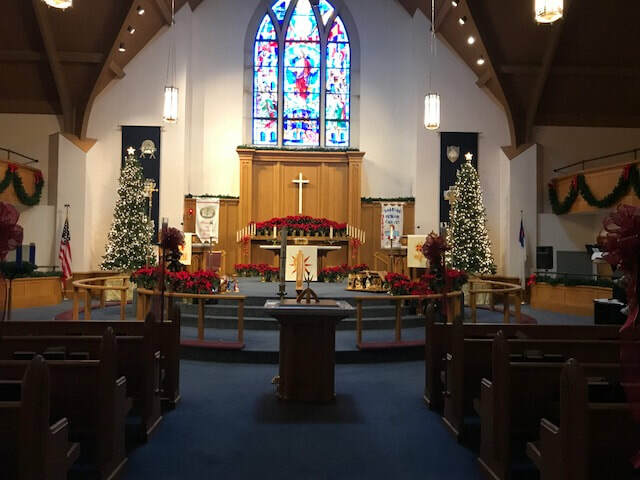 "O God, accept and bless the work of our hands to the care and adornment of your sanctuary that you may be glorified, through Jesus Christ, Thy Son, our Lord"